This download is includes a two-chapter excerpt. You want to do something meaningful with your life. Build or create something that makes people say “wow!” But to make it happen, you’ll have to step into that ambiguous void where you don’t know how things will end. You have to take action in the face of uncertainty. This destroys most people. But a precious few seemed to have figured it out. They thrive in the face of ambiguity and uncertainty, turning it into fuel for genius. And they become legends along the way. Are they just freaks of nature? Is the ability to do this genetic? Or can it be trained? The answer will surprise you. 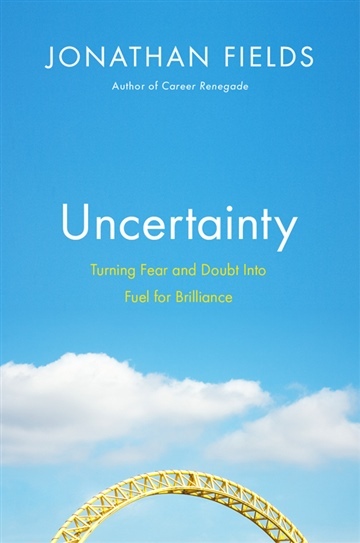 You’ll find it in this powerful two-chapter excerpt from Uncertainty: Turning Fear and Doubt Into Fuel for Brilliance. Jonathan Fields is a dad, husband, award-winning author, entrepreneur, blogger and innovation strategist. He’s been featured in The New York Times, Wall Street Journal, FastCompany, Inc., Entrepreneur and tons of other places that don’t impress his daughter one bit. He’d sell nearly everything he owns, including his bootcut Luckys (#trappedinthe80s) for a pound of organic dark chocolate and a Wayne Henderson guitar.